TOKYO – February 9, 2018 – The recently published App Annie 2017 Retrospective report has named LINE Corporation the highest-earning non-game app publisher in Japan. The LINE messaging app also ranked first in three categories. The annual report by App Annie provides a global overview and analysis of the major developments in mobile apps and games from the previous year, including global trends, country-based rankings and publisher rankings. 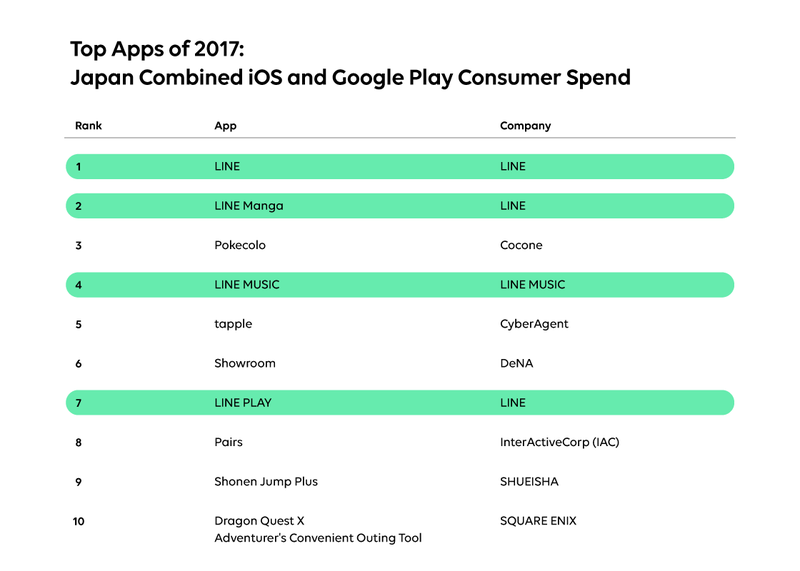 According to the report, LINE was the highest-earning non-game app publisher in Japan in 2017, and excluding games, achieved the highest revenue, monthly active users, and app downloads. 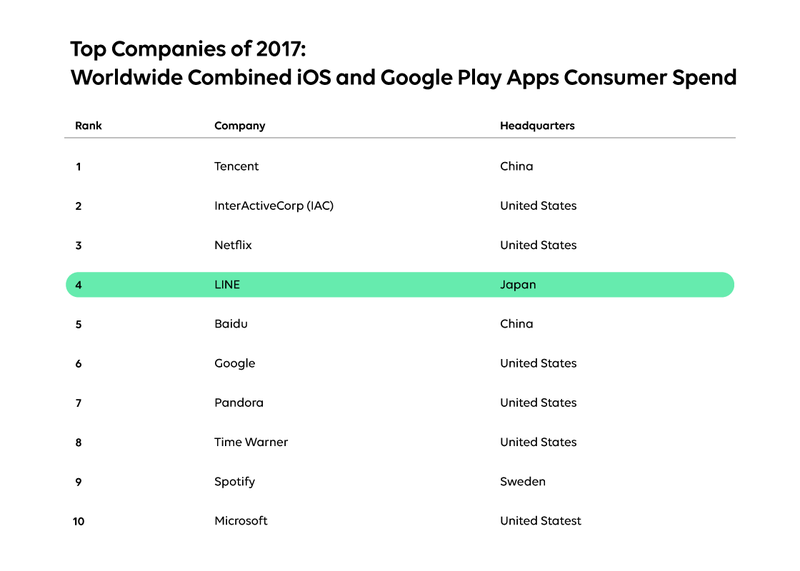 Other LINE services that ranked among the highest-earning non-game apps in Japan in 2017 were LINE Manga in second place, LINE MUSIC in fourth place, and LINE Play in seventh place. Further, LINE ranked fourth in the worldwide non-game publisher revenue ranking, and the LINE messaging app ranked fifth in the worldwide non-game app revenue ranking. LINE ranked first for combined iOS and Google Play app revenue in Japan. 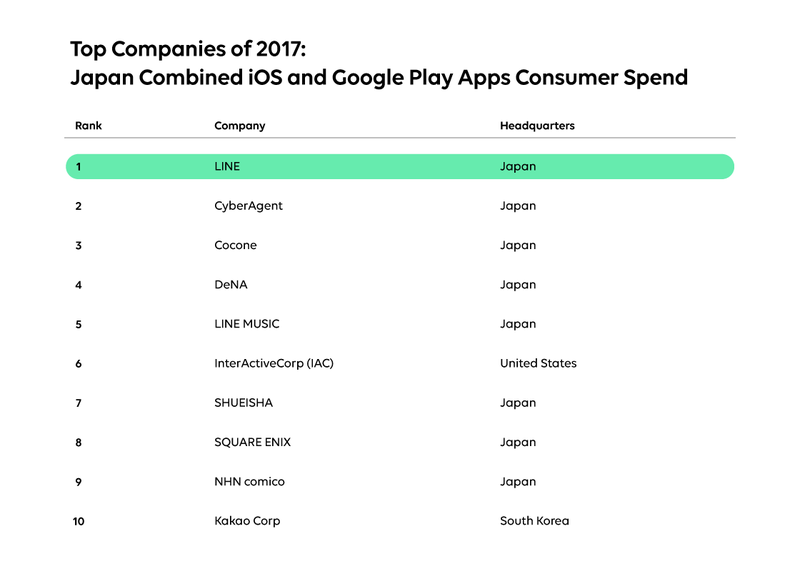 For the combined annual iOS and Google Play non-game app revenue in Japan, LINE ranked first, LINE Manga second, LINE MUSIC fourth, and LINE Play seventh. 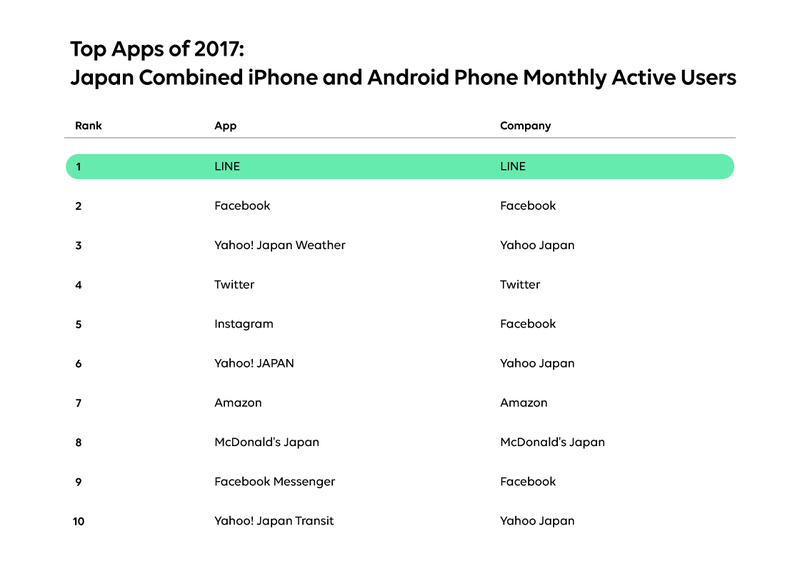 LINE ranked first for having the most monthly active users among all iOS and Android non-game apps in Japan in 2017. 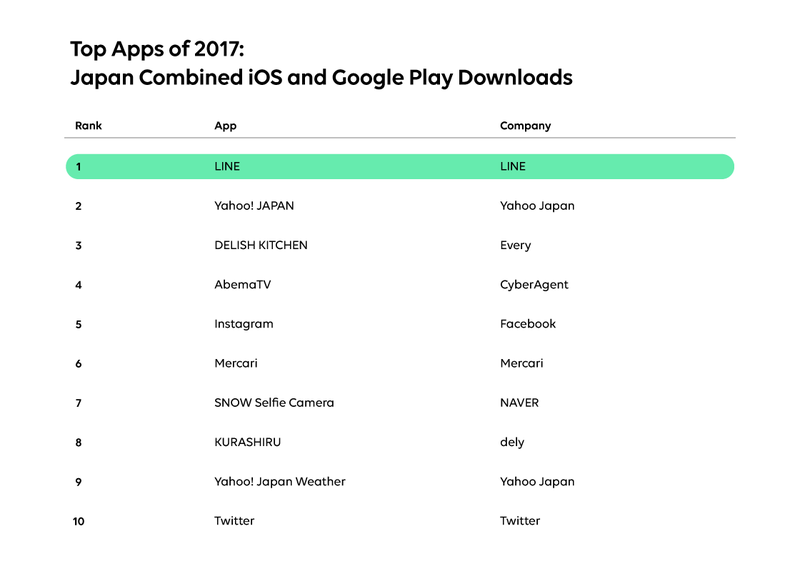 LINE ranked first for being the most downloaded app in 2017 out of all iOS and Android non-game apps in Japan. LINE ranked fourth out of the top companies for worldwide combined iOS and Google Play app revenue. 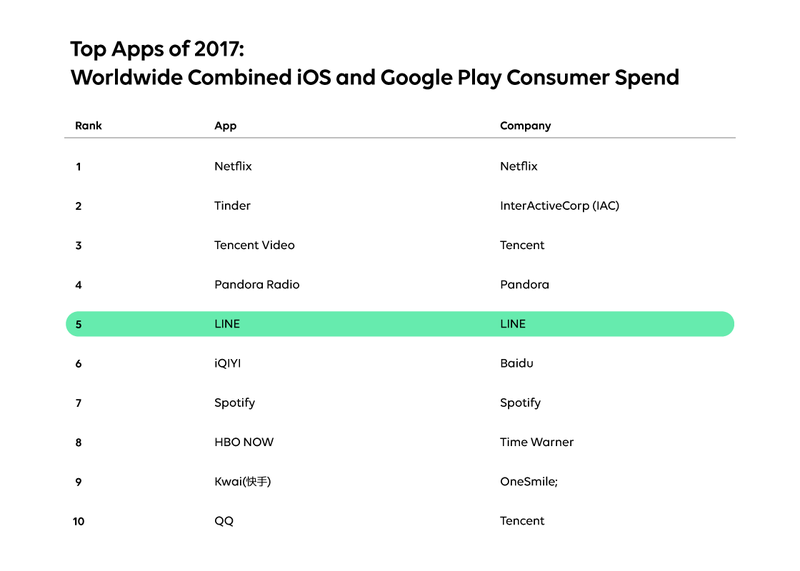 The LINE messaging app ranked fifth for worldwide combined iOS and Google Play non-game app revenue. App Annie delivers the most trusted app market data and insights for your business to succeed in the global app economy. Over 1 million registered members rely on App Annie to better understand the app market, their businesses and the opportunities around them. The company is headquartered in San Francisco with 450 employees across 15 global offices. App Annie has received $157 million in financing, including from investors such as Sequoia Capital, Institutional Venture Partners, IDG Capital Partners, e.ventures, Greenspring Associates, and Greycroft Partners.